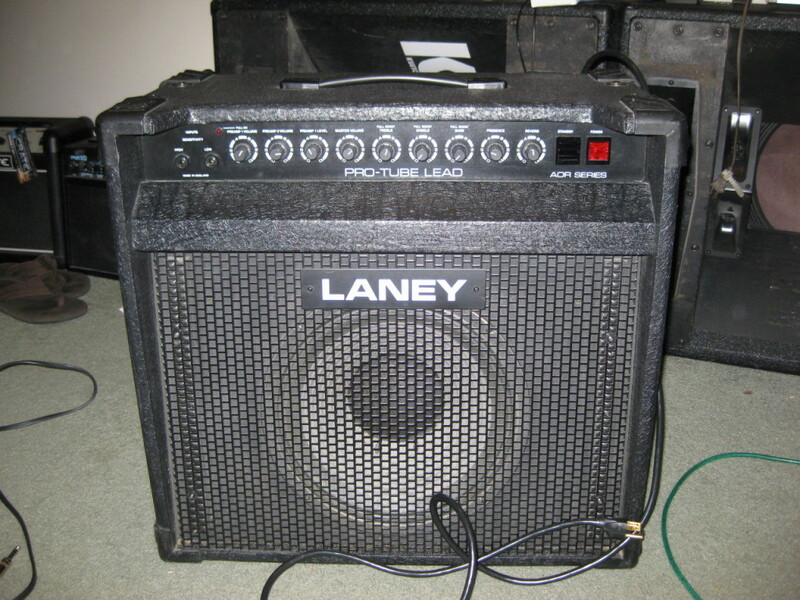 This Laney 50 watt 1X12 combo, designated the Pro Tube Lead model, was part of Laney’s AOR series valve amplifiers, manufactured in the 1980’s. Basically, these amps are Laney’s answer to the Marshall JMP & JCM800 series master-volume amps, but with some additional features including ‘pull-boost’ on some controls plus a footswitchable gain boost. The combo model also incorporates reverb (solid-state driven). There is more gain available than in a standard JMP or JCM800. You can see the speaker in this combo is in its own sealed cab, which gives the amp a more solid ‘bottom end’ than a conventional open back, but which also makes the amp more directional. These amps are very loud ! Chris Jones delivered this amp to us from the ‘Blue Mountains’ (a beautiful location west of Sydney, Australia) – the problem was that a huge hum/buzz was ever present in the output. Some previous repair work had been done by a music shop with no improvement, and Chris, possessing some electrical know-how, had also attempted to isolate the problem. The scope of this repair job also included a valve replacement/upgrade, and also replacing some ageing high-voltage electrolytic capacitors. There was also an electrical safety issue, ref a loose fuseholder on the rear panel, which we replaced with a more robust type. The photographs were taken by Chris, by the way. 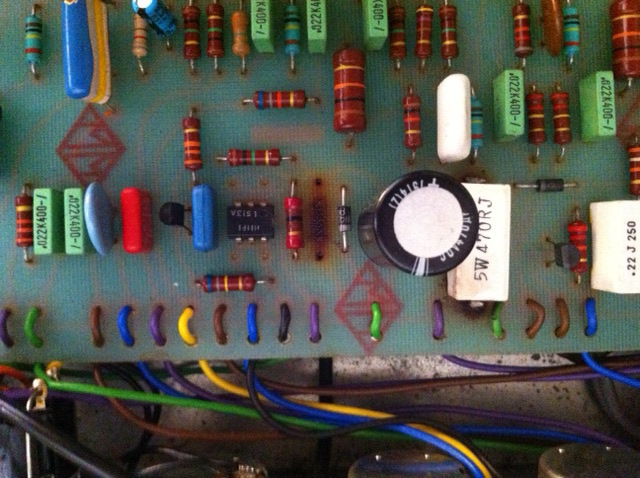 Upgrading the valves (tubes) and selected components in the high voltage circuitry did nothing to cure the hum problem. We next examined the low voltage power supplies. 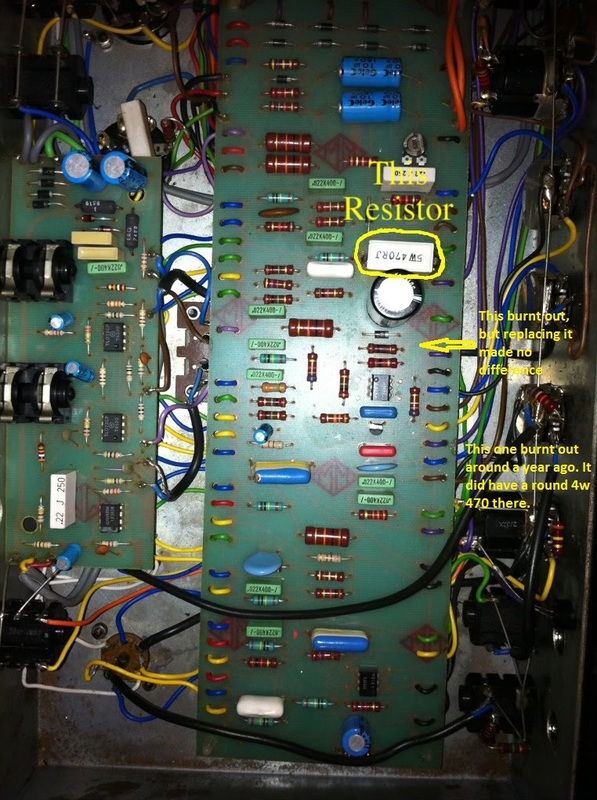 The +/- 15V DC rails that power the IC’s ref the reverb & FX Loop circuitry were unbalanced, so clearly could be a source of hum entering the signal path. We rebuilt the +/- 15V rails by replacing the zener diodes and filter caps. There is yet another (single-ended) low voltage DC supply which powers the switching circuitry. This is another possible source of hum entering the signal path, and in fact turned out to be the main culprit. We noticed that the DC rail powering the switching was reading much higher than the schematics indicated. We also noticed differences between component values as listed on the schematic and what was actually on the board ! We rebuilt this low voltage supply strictly as per the schematic, and the voltage readings were now correct, plus there was an absence of hum ! We were quite concerned that the switching IC’s might have been damaged by the over-voltage, but the amp’s switching functionality checked out fine. These repairs to the Laney AOR50 were happily completed successfully and on budget, allowing for an estimated 3 hours labour, plus parts as required. The wiring and assembly in the Laney is much rougher and untidier than the equivalent JCM800. To get to the copper side of the p.c.b., all the front panel controls have to be disassembled in order to flip the board over, but it has to be done for a neat job that will hold up over time. For collectors of 70’s & 80’s Brit valve guitar amps, this model is worthy of your consideration. Here are a couple of comments received from Chris after he took possession of the repaired amp…………….. I just tried her out, it’s the best it’s ever sounded, I would have liked you to try it out wound right up with the boost pulled, it’s unbelievably loud. Hi Ivan, well I’ve put a few hours on it today, ran perfect, no hint of any problems. I can’t believe how good it sounds, I can see why they (Laney AOR) are very popular nowadays. 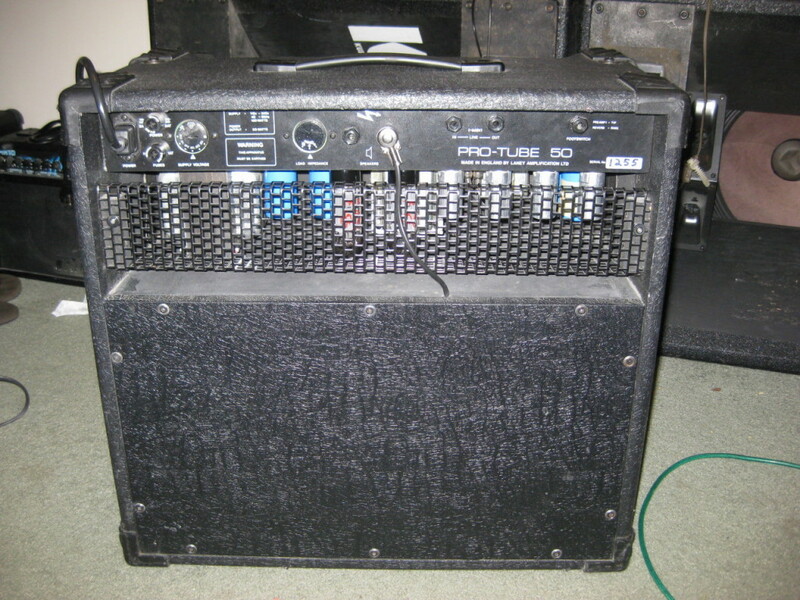 This entry was posted on May 14, 2013 at 12:49 pm and is filed under Amp Repair, Amps. You can follow any responses to this entry through the RSS 2.0 feed. You can leave a response, or trackback from your own site.